Lewis “Lew” Lukens, professor emeritus of molecular biology and biochemistry, passed away on Sept. 8 at the age of 91. Lukens received his BA from Harvard University and his PhD from the University of Pennsylvania. He came to Wesleyan in 1966, first in the Biology Department and then as one of the founding members of the Department of Molecular Biology and Biochemistry, where he remained until his retirement in 1999. Lukens’ research involved the regulation of gene expression by eukaryotic cells, specifically the genes for Type I and Type II collagen. He received many research grants from the National Institutes of Health, National Science Foundation, and the United States Department of Agriculture. 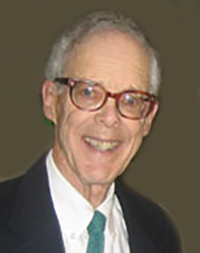 During his years at Wesleyan, Lew served as chair of the Biology Department, on the Committee on Graduate Instruction, and as program director of the Biomedical Research Support Grant. In his retirement, he served on the advisory board of the Wasch Center for Retired Faculty. Lukens is survived by his wife, Ellen; their four children, Katherine Lukens, Marie Lukens Hansen, Ellen Lukens Sisson, and Lewis Lukens, Jr.; and nine grandchildren. A memorial service will be held on campus at 2 p.m. Saturday, Sept. 29, in Memorial Chapel. The Lukens family requests that memorial contributions be made in Lew’s name to Wesleyan University to support faculty research opportunities in the Molecular Biology and Biochemistry Department, and sent to the care of Marcy Herlihy, University Relations, 330 High Street, Middletown, CT 06459 or to the Land and Garden Preserve, P.O. Box 208, Seal Harbor, ME 04675.